Ideal stocking stuffer, or party favors or just good to have on hand during such a busy season. 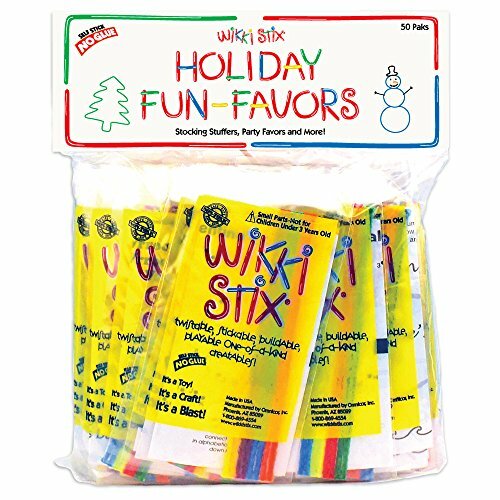 Pak includes 50 little favors with 8 Wikki Stix in each, plus activity sheet. Designs include bell, ornament, Christmas tree, candle, songs of the season and snowman.